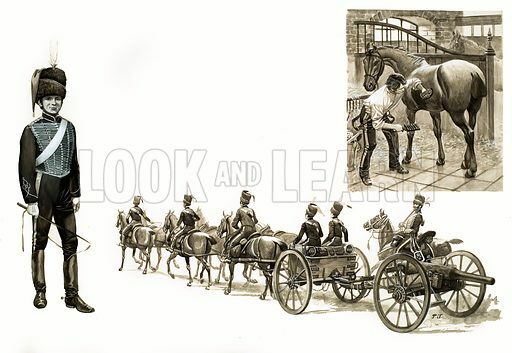 A Day in the Life of... a gunner lad: When Danger Rode on Parade. Original artwork from Look and Learn no. 532 (25 March 1972). Available worldwide for immediate download up to 4,819 x 3,320 pixels.